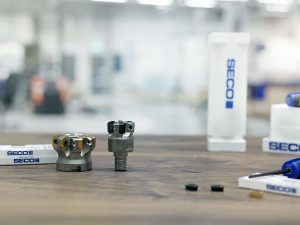 To eliminate long face milling cycle times and ensure process security, Seco Tools has introduced new larger LP09 inserts for the company’s HighFeed 2™ cutter bodies. 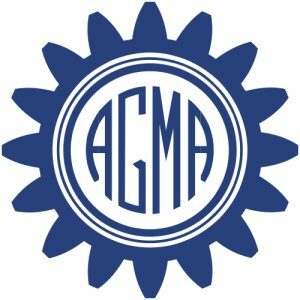 The new inserts are designed for high-feed milling operations including face, helical interpolation, slotting, side milling, pocketing, and plunging in challenging workpieces often found in the mold and die, aerospace, and oil and gas industries. Extending the existing HighFeed 2 milling family, the new LP09 inserts combine higher insert corner strength with dual cutting edges, while the face milling cutter bodies feature strong reinforced cores and more teeth per diameter for increased feed rates and faster material removal rates. During high-feed milling, the optimized flutes of the cutter bodies evacuate chips quickly and efficiently. The rectangular shape of the LP09 inserts along with the close-pitched cutter bodies help extend tool life beyond that of square inserts. Cutter-body pockets ensure consistent and precise insert positioning/seating when indexing, and high-strength screw clamping holds inserts securely in place. Seco Tools LP09 positive inserts are available in a full range of chipbreakers, including MD15, M13 and ME08. HighFeed 2 cutter bodies range in size from 1.250 inches to 4.00 inches and from 25 mm to 100 mm.